What a week it’s been for Red House sport. 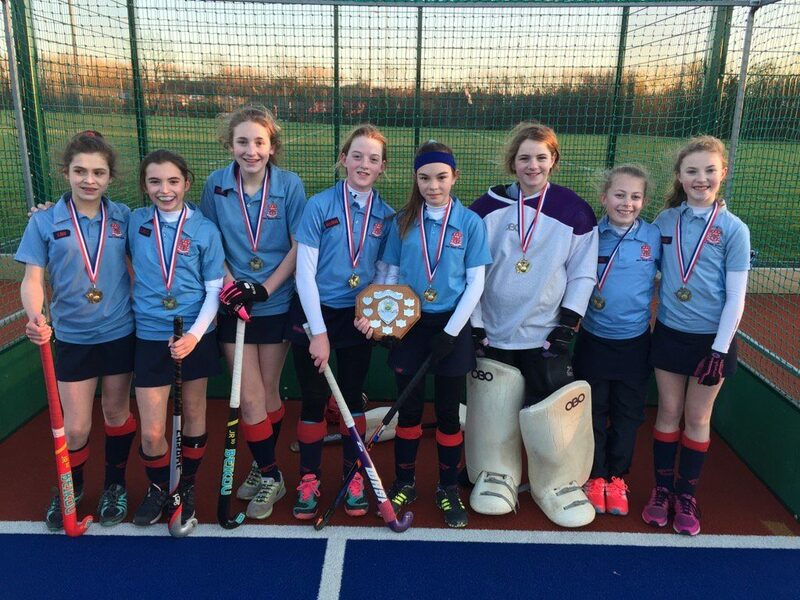 There have been wonderful victories over larger schools culminating in our Under 13 girls being crowned county hockey champions. This was a tremendous team effort which, in many ways, is more important than the victory itself. We do not have a huge pool of pupils on which to draw but being small means a higher proportion of our pupils represent their school. Being small means we can be fearless and others dread coming second to us. Being small means pupils are often taken out of their comfort zones, playing ‘up’ an age. Being small has huge advantages and, whilst I’m not known for my love of hash tags, #smallschoolhugeheart seems so appropriate. We have tried to make more use of Facebook and Twitter recently to celebrate successes. Please do follow us and encourage others to do so too. I know I said I wouldn’t mention it again, but I would like to thank those of you who supported this event: governors, PTA members and, of course, taxi drivers for the many pupils who turned up to help! We had a great showing on both sides of the road and I am delighted to say many of our visitors know about us because of you: thank you so much for talking about us in such kind terms. As you are aware, I am communicating with parents on a regular basis and I hope this is something which you welcome. Previously, School Council had said it would be producing a Chairman’s Blog to update the community as and when there was information to pass on. Given our change in approach and my open door policy, we feel it unnecessary to also have the blog running. I will continue to update you and I will always make myself available to discuss your children or, more broadly, Red House and its future. Remember … I’m a lover of coffee! It’s Safer Internet Day on 7 February and we are planning events in both the N&I School and the P&S School to remind the children of the benefits and the dangers associated with the internet. The internet is here to stay so we must embrace it whilst empowering the children to make sensible decisions. We are also looking to host an information evening for parents and, once we have secured a speaker, we will let you know the date. The N&I School has attached some information although sections of it are also relevant to the P&S School. Thank you to the PTA for arranging Movie Nights for the children up to Year 6. Details are attached for both films and I hope to see lots of children there. The film at the N&I School finishes much earlier than the film at the P&S School. This may give parents the option of going home and returning for a second pick up. If not, please come and join us for coffee in the P&S School while we wait for the BFG to finish. We are holding a significant amount of lost property. Please can I ask you to ensure all clothing in school is named (please feel free to teach the older children to sew!). If you feel something is missing please direct your son/daughter to the lost property stores outside Mrs Blyth’s office or in the Old Vicarage. Please remember half term begins after school on Thursday 9 February. Friday 10 February is a staff training day this year.